Gemini designed the FirstMix series of USB controllers to help aspiring DJs advance their skills with easy-to-use features and intuitive functionality. The series was conceived in an effort to develop DJs from beginners to full-fledged artists and performers, and the FirstMix Pro rounds out the family with the most professional, comprehensive feature-set. Now, budding DJs can use a smooth, accurate Pitch Fader for beat matching, along with other important tools like Hot Cues. FirstMix Pro interfaces with your PC or Mac via a standard USB connection, so you can easily use the included MixVibes Cross LE software to choose songs and sound files from your existing music collections, even your iTunes Libraries. Offering an impressive level of control, MixVibes Cross LE acts as a natural complement to the FirstMix Pro hardware with integrated iTunes browsing, automatic BPM detection and manual/auto beat loop capabilities. You can even use the software to record your mixes then share your creations on SoundCloud or Facebook. And for added convenience, the controller works with other popular DJ programs like Traktor, VirtualDJ and Algoriddim Djay. It’s easy to navigate folders and tracks using the Browse function. Then once a file is loaded, use the touch-sensitive jog wheels to simulate the effect of scratching or alter the pitch of a track. For even more professional song manipulation, the FirstMix Pro also features three Hot Cues (up to six when using the ‘shift’ function with MixVibes), so you can create instant playback points on your tracks. Beat match like a pro. Like most professional DJ rigs, the FirstMix Pro features Pitch Control Faders for pinpoint accuracy when beat matching. This lets you manually increase or decrease the tempo of a track to match the BPM of the song on the opposing deck. Of course, if you want to beat match quickly with one-touch operation, the Sync function lets you do just that. The unit also has a built-in soundcard, allowing you to preview a track with headphones before you play it for your audience. Employing the traditional, familiar layout of two decks and a central mixer, FirstMix Pro offers a tried-and-true setup with a natural, ergonomic feel. The central mixer section provides independent features for each deck, so you can tweak the sound of individual tracks with 3-band EQ and Gain control. This gives you the ability to craft an expert mix by fading the highs, mids or lows of one track while artfully blending it with another. FirstMix Pro also offers a variety of effects that can be incorporated to make your mix even more distinct and original. Start a dance party… wherever. Even if you’re an experienced DJ seeking a portable digital solution for parties and small events, FirstMix Pro gives you a powerful, lightweight option. All you need to create a serious dance party is a laptop, your digital music library and this versatile controller. Chase the DJ dream. Bringing professional features to a convenient, user-friendly platform, FirstMix Pro lets you take the next step in your pursuit of the DJ dream. Considering purchasing the Gemini FirstMix Pro Advanced USB MIDI DJ Controller with Soundcard ? Have questions? Ask people who've recently bought one. Do you own the Gemini FirstMix Pro Advanced USB MIDI DJ Controller with Soundcard ? Why not write a review based on your experience with it. Nice deck setup easy to handle and use and has lots of nice little features. I would recommend this to any DJs. 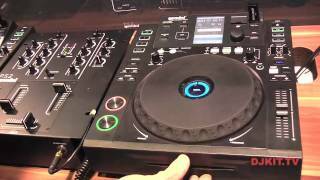 Seen a video for Gemini FirstMix Pro Advanced USB MIDI DJ Controller with Soundcard online or have you own video? 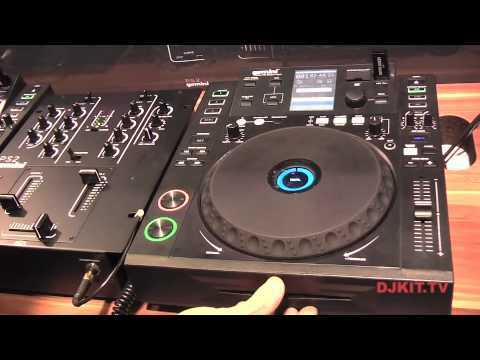 Check out Gemini FirstMix Pro Advanced USB MIDI DJ Controller with Soundcard on DJkit.com!